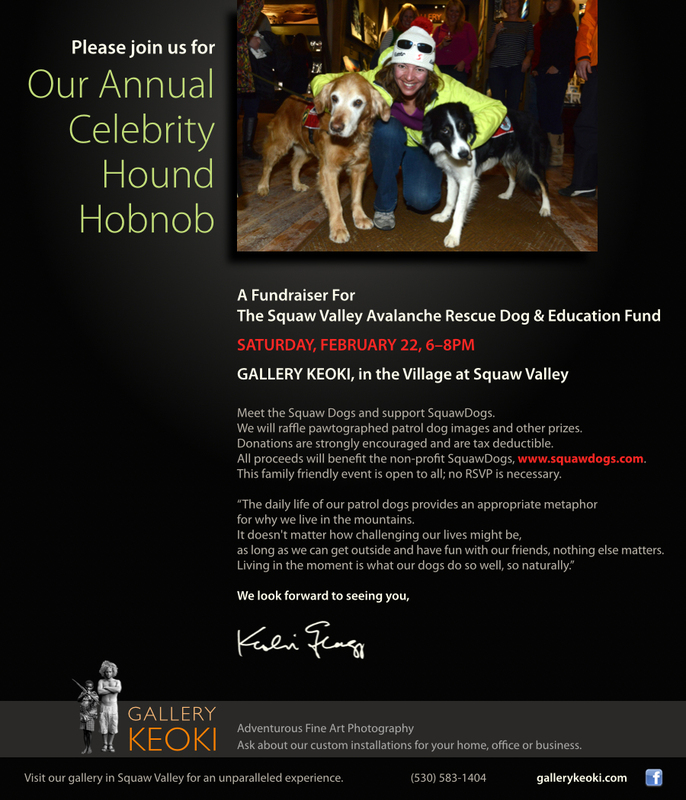 We are very excited for this year’s fundraiser for the Squaw Valley Avalanche Rescue Dog and Education Fund. 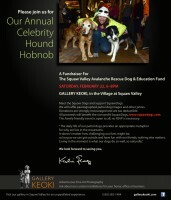 Join us at the gallery on Saturday, February 22nd at 6:00pm to meet these amazing dogs! We will raffle a “paw”tographed patrol dog image as well as other prizes. This entry was posted in images and tagged Auction, Dogs, event, Fine Art Photography, Fundraiser, Gallery Keoki, Keoki Flagg, Squaw Valley, Squaw Valley Avalance Patrol Dogs, Squaw Valley Ski Resort by keoki. Bookmark the permalink.